There are few things that say “healthy” more than salmon. 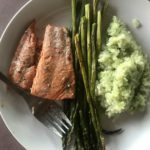 It’s full of good fats, lots of protein, and it’s delicious. 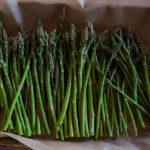 It can be difficult, however, to find something beyond baked, broiled, and pan fried. 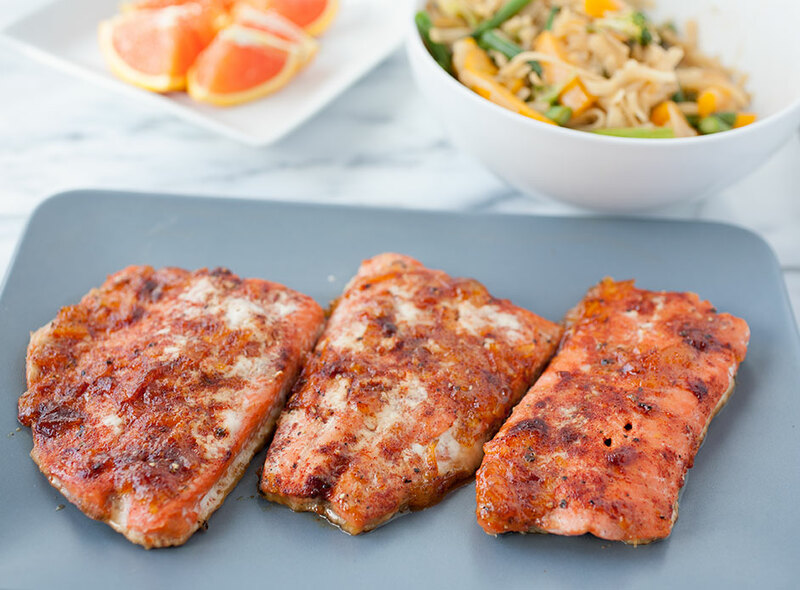 Enter this orange salmon with red chile! 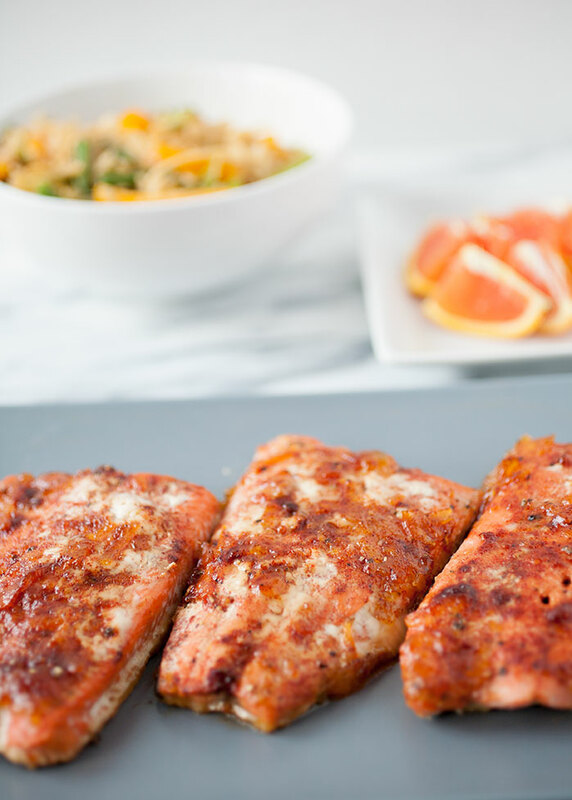 The orange adds a beautiful flavor to the salmon while the red chile adds a spicy bite that plays off the citrus nicely. Healthy and delicious—what more could you want for a healthy January meal? And, of course, you couldn’t expect me to use just any red chile. We’re talking flavorful, just-spicy-enough New Mexican red chile. Red chile is the mature form of New Mexico green chile and the flavor does actually change. Enough so, that chile sauce made from red chile and sauce made from green chile have quite different flavors and you can get dishes smothered in “Christmas”—red and green chile sauces. It’s my favorite. So, in other words, it’s not just heat that red chile adds—it’s flavor. Add to that orange juice mixed with orange marmalade and you have a flavor sensation that will make eating healthfully in January easy! 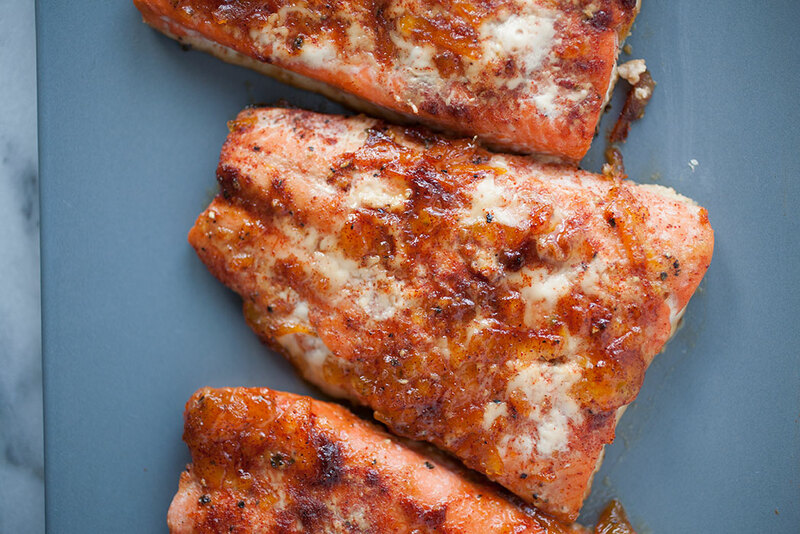 Lay the salmon on a sheet pan lined with oiled foil. Sprinkle the salt and pepper over the fish, then spread the marmalade over the surface—I use about a tablespoon per fish. Dust the chile powder over the marmalade, then squeeze the orange half over the top. Place in the oven for 15 to 20 minutes, depending on the thickness of the filet, or until just cooked through.